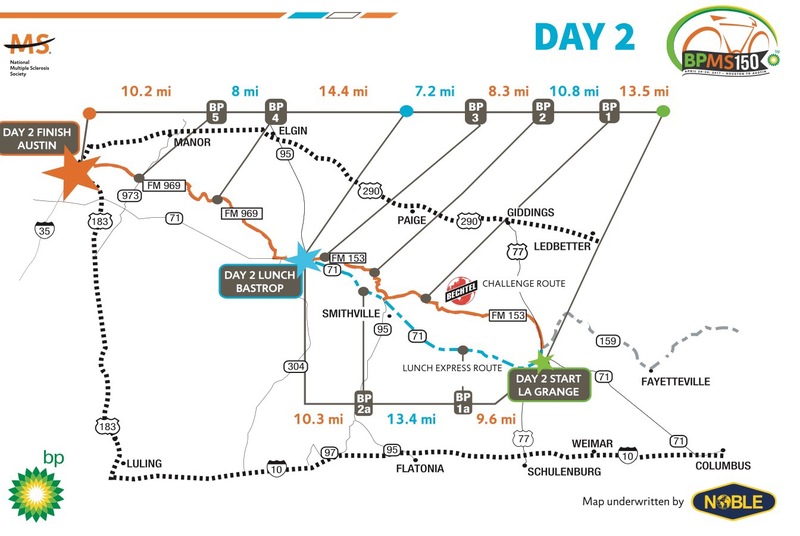 Day one is 76 to 100 miles, depending upon where you start. Lunch is in Bellville, at the Austin County Fairgrounds on FM 529. Overnight is in LaGrange. 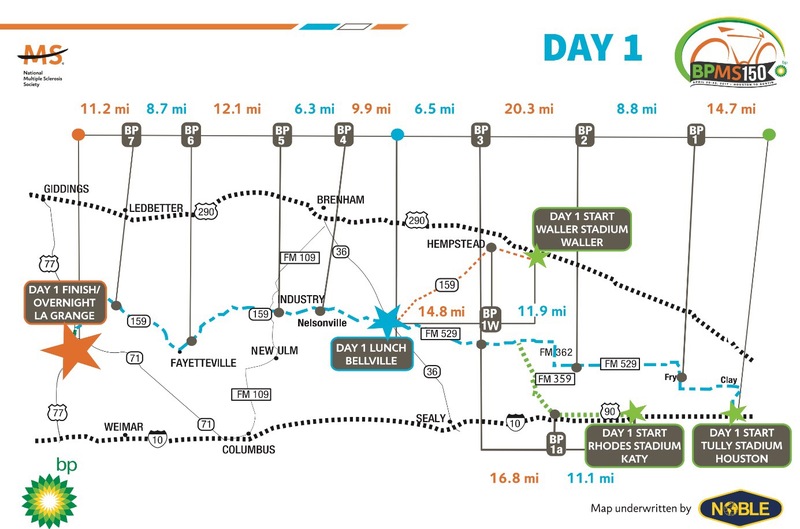 Day two begins in LaGrange and finishes in Austin. 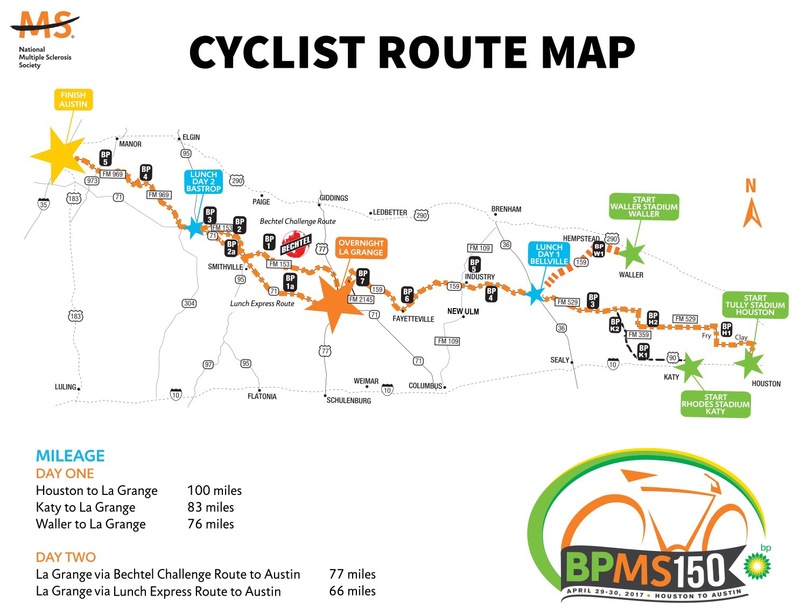 The route is either 66 miles, or the 77 mile challenge route with rolling hills through Bastrop State Park. Lunch is in Bastrop, at the intermediate school.